Our package Air Conditioner systems range from 5 ton to 60 tons, and are based on popular brands such as Trane. We routinely supply air conditioner rentals for emergency cooling when facilities suffer damage to in-house installed cooling systems. 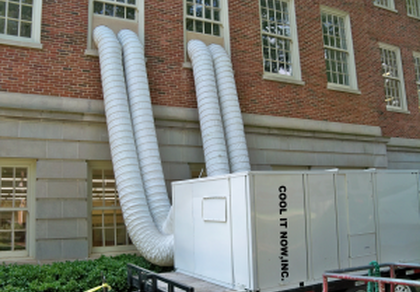 We also supply planned cooling system shut-downs providing continuous reliable temporary air conditioner systems from a few days to entire seasons.